Looking for a fun outing for a girls weekend at the lake or just need a little retail therapy? These adorable, unique shops will not disappoint! Just a short drive from the lake, you're sure to find something you can't live without! 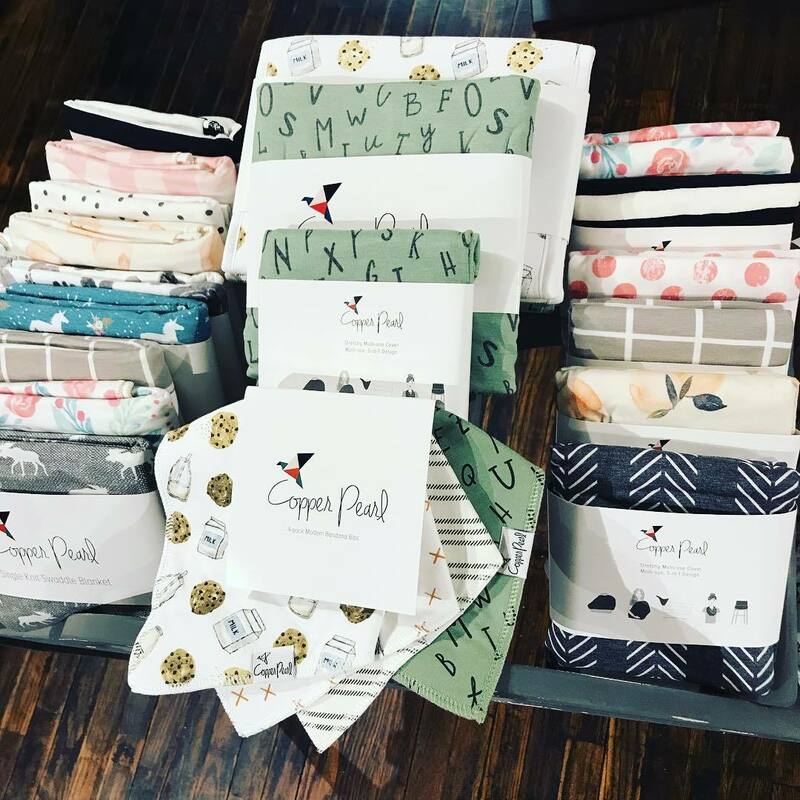 Chloe & Company- Step in Chloe & Company to find something for everyone with infant sizes to plus size 3X; dressy to casual apparel, purses, full line of accessories, BLING, home decor and up-cycled DIY projects. Lake Life- This Eufaula favorite is a great place to find swimsuits, t-shirts and official Eufaula Ironhead t-shirts. You can also find a great selection of eclectic, whimsical lake signs and unique decor, perfect for a home at the lake. Up Yonder Farm- A treat for all the senses, Up Yonder Farm stocks unique goods, handcrafted and locally made items. 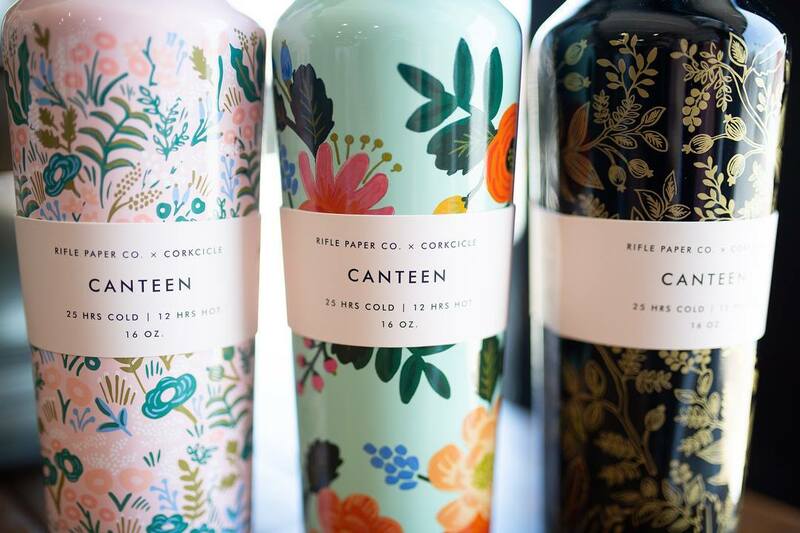 If you're shopping for the person who has everything, a trip to Up Yonder Farm is a must. Vintage Gypsies- All the newest fashion trends right here in small town USA! Casual, classy, cowgirl, belts/buckles, jewelry, footwear, Liberty Black, Dear John & more can be found at Vintage Gypsies. 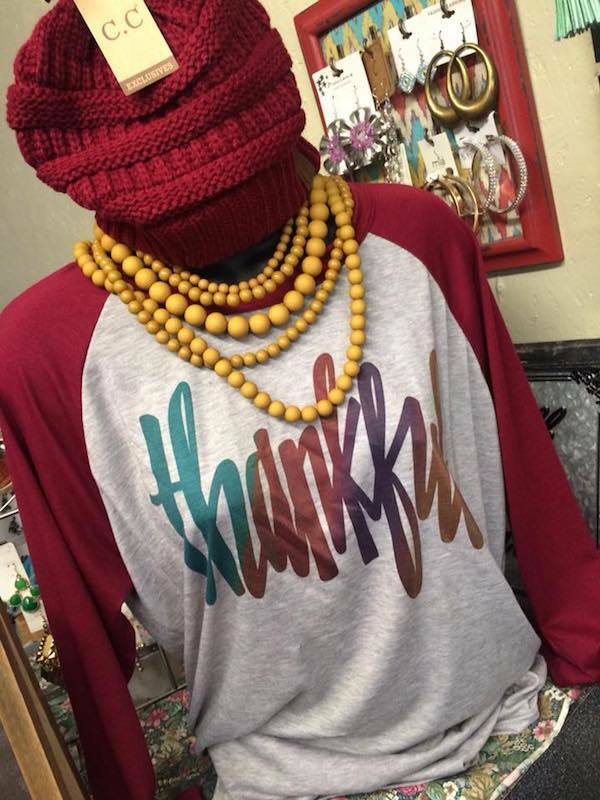 La Fleur Boutique- You can find all the latest trends right in Downtown Checotah, including clothing for women, children and babies. Swing by La Fleur if you're looking for a new purse, to update your jewelry or in search of a great gift! Steals & Deals- Fun, frivolity and fashion at a bargain price. Sizes XS to XXXL in high quality trendy clothes, jewelry accessories and gifts. So much fun! Mimi's Flowers & Gifts- So much to see when you step in Mimi's! The staff is always welcoming and so helpful. Awesome selection of gifts, antiques and accessories at affordable prices. Beautiful, custom arrangements for any occasion. This list barely scratches the surface of great local spots in Eufaula! 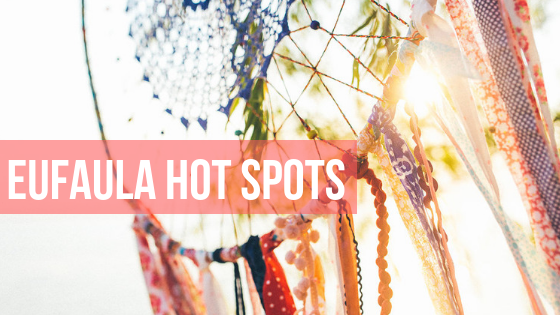 For more ideas, check out this list of our favorite Eufaula Hot Spots! The Festive Nest- Specialty boutique and gift store for the whole family! Apparel, jewelry, gifts and accessories for men, women, kids and baby. 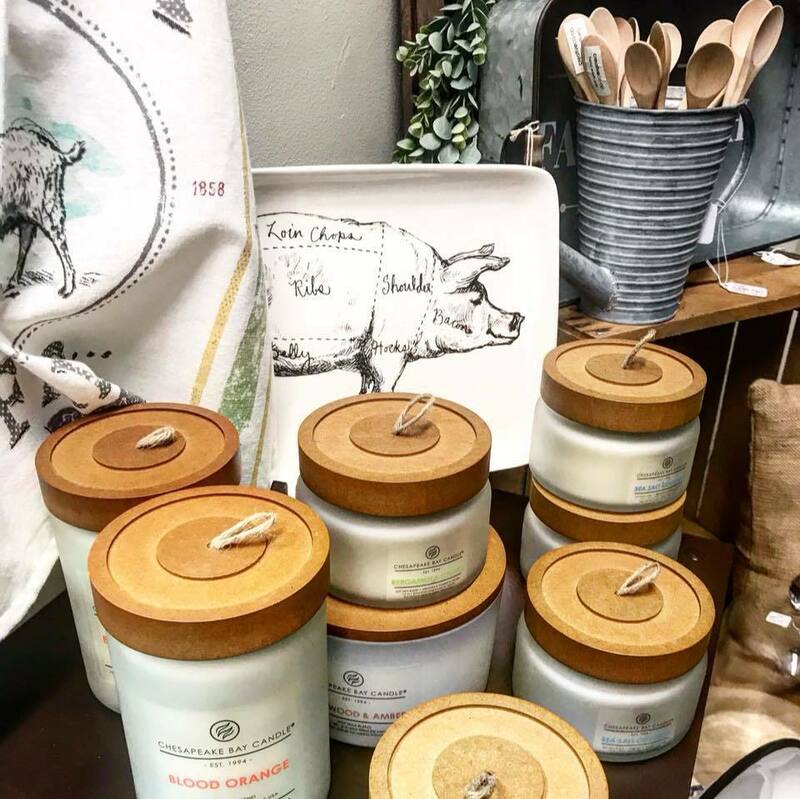 Pinion Creek Trading Co.- As the exclusive retailer of Magnolia Home Furnishings by Joanna Gaines, Pinion Creek has a great selection of unique home decor! Here you will also find the cutest women's clothing, accessories and gifts. Hattie's House & Vintage Market- on Main Street in Muskogee, Hattie's House connects Poppy's Garden, Mattie Jane's and Erly Rush. Great place to find vintage clothing, antiques and so much more. Poppy's Garden- Featured many times in Brides of Oklahoma Magazine, Poppy's Garden Floral Design & Events is a full service flower shop serving Muskogee, OK and the surrounding area. Muskogee local and shop owner, Meagan Ferren designs one of a kind floral arrangements and custom statement pieces sure to impress. Take a break from shopping and feed your cravings at one of these local spots just a hop skip and a jump away! 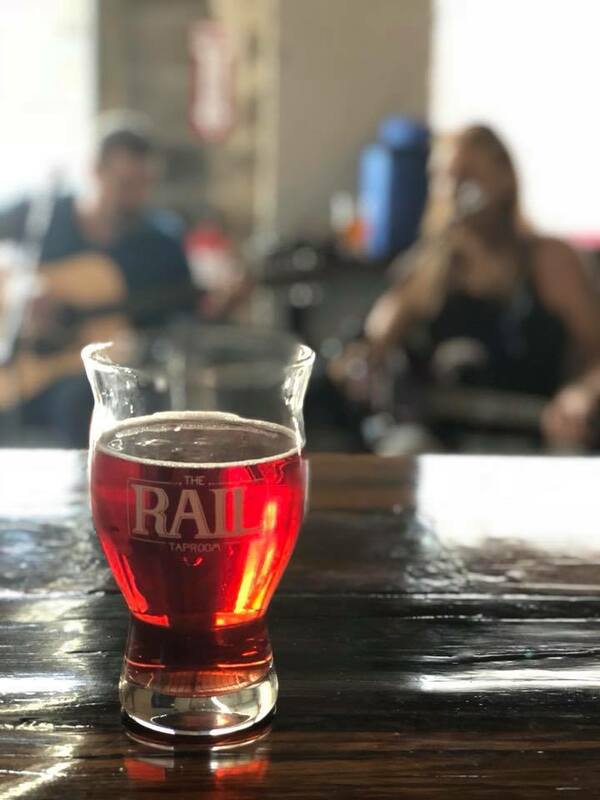 The Rail Taproom- Kick back with friends and enjoy live music and craft beer at The Rail Taproom. 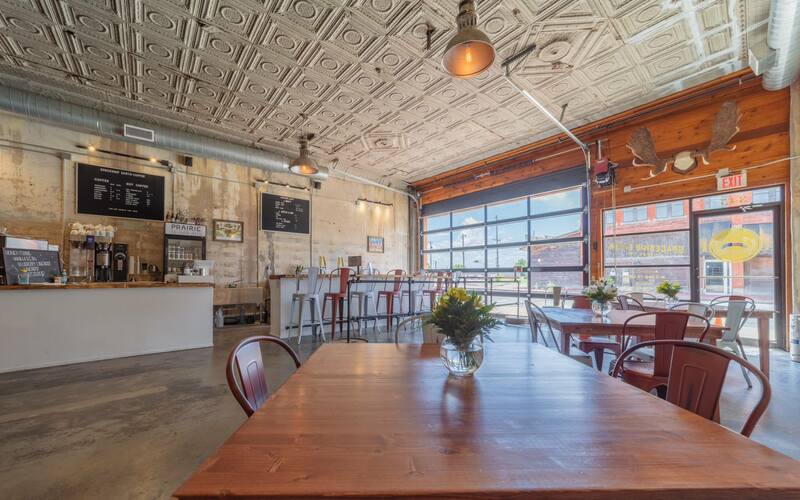 Also a great spot to host your next adult birthday party or special event. Addie's Creamery- Specialty creamery that strays away from the typical fast food ice cream experience. Ice cream made daily from scratch with quality ingredients, fully customized, and frozen right before your eyes. Erly Rush Coffee Shop- named for the shop owners grandmother, "Erly" who inspired others to live and find joy in every moment. Great coffee and the atmosphere is perfect for finding inspiration, catching up with friends or business meetings. Downtown location has plenty of seating, electrical outlets and free WiFi! Station 1- Come visit us for lunch or dinner at a new restaurant located in the historic Fire Station No. 1 in downtown Muskogee to enjoy a variety of sandwiches, croissants, salads, wraps, and much more. Mattie Jane's on Main- This charming lunch spot, nestled in a flower shop and historic building, offers an equally inspiring ambiance and menu. Enjoy homemade quiche, paninis, soups and other delightful treats. Harmony House- Featured in Southern Living Magazine, this adorable tea room serves lunch and is located in a beautiful, historic home. 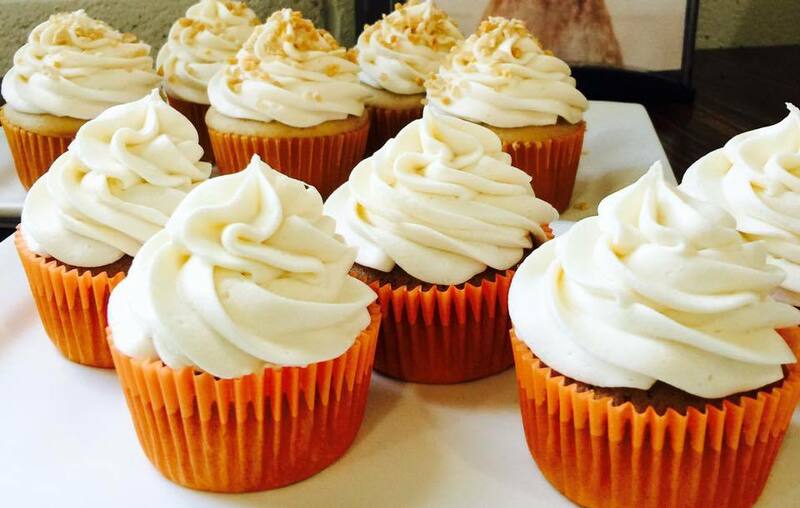 Bakery features cookies, cupcakes, dessert bars and more. Custom orders available as well. America Pie Wood Fired Pizza-Wood-Fired, old-word style pizza made with premium ingredients, imported from Italy. 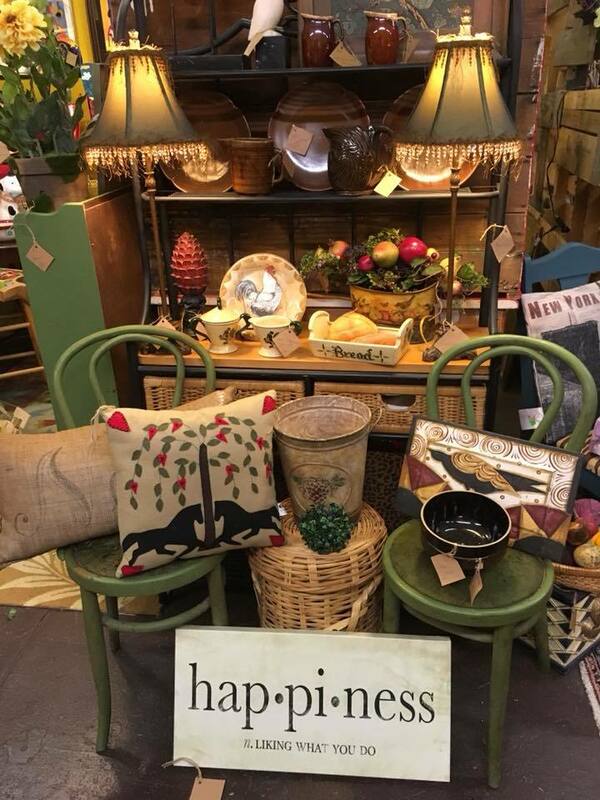 Yellow Gazebo- The Yellow Gazebo is a kitchen gourmet, gift and decorative accessory store located in historic downtown McAlester, OK for over 40 years. Renner & Co.- Store front located in downtown McAlester with children's clothing as well as apparel for mom & dad. You can also find bath and body items and great jewelry. Dottie's-Delighting children & inner children with experiences & products that add charm, humor, wonder, cheer, & a sense of community to their lives. 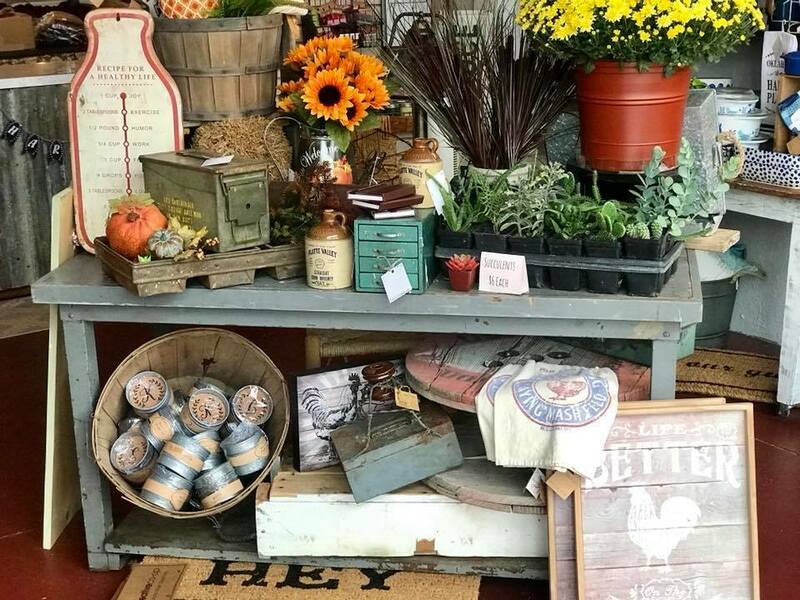 Buffalo Gals Antiques- Located in Historic Old McAlester where the Wild West began, purveyors of exquisite treasure and plain good junk, antiques, vintage and collectibles. An experience for the senses! Prairie 345- Taproom brewery in beautiful downtown McAlester featuring favorites like Bomb!, Phantasmagoria, and other cool beers. Sugar Daisies- Such a great spot to stop in for lunch with the girls! Sugar Daisies also offers delicious custom cakes, cookies, cupcakes and pies! Lucy's Two-Dine with Lucy's Two and enjoy a fabulous lunch, featuring signature homemade soups, sandwiches, salads and incredible desserts by Lucy! 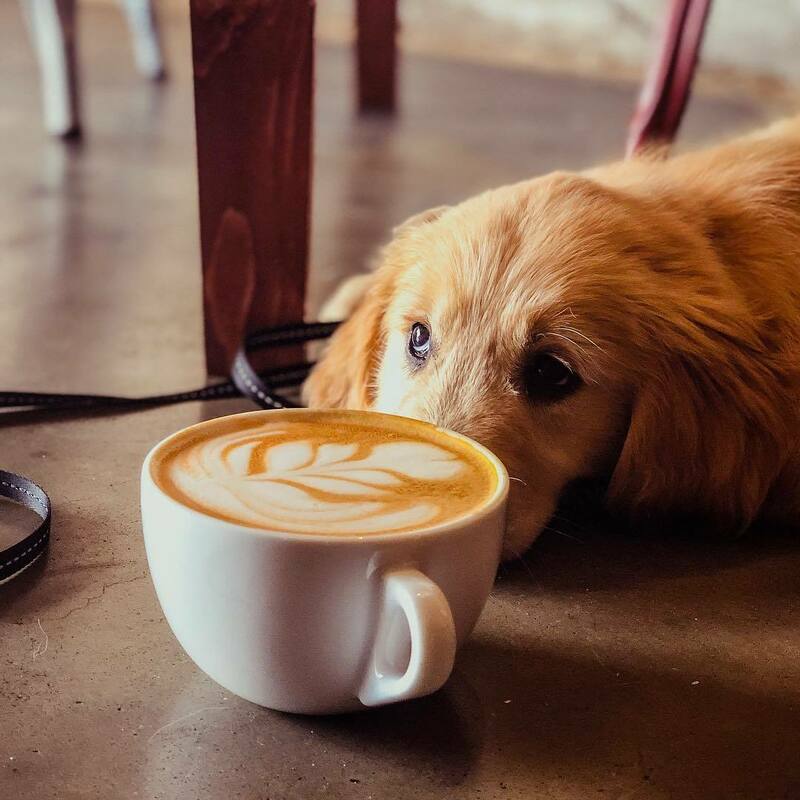 Spaceship Earth Coffee- Out of this world, hand roasted coffee shop in McAlester is a cozy, inviting spot to grab a hot cup of coffee or tea! In addition to finding one-of-a kind items and special experiences, supporting local business makes a difference!! When you support local businesses, you are helping to promote community development, innovation and growth! What are your favorite local spots? We'd love to hear from you!